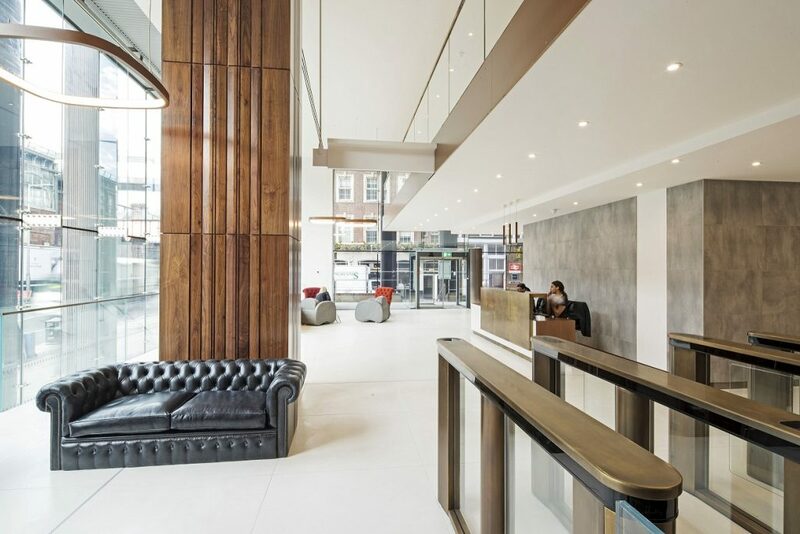 Nestled in the Waterloo district of London, the architecturally imposing lobby of this office required some dramatic, stand-out furniture to enhance the space while fulfilling a practical role. 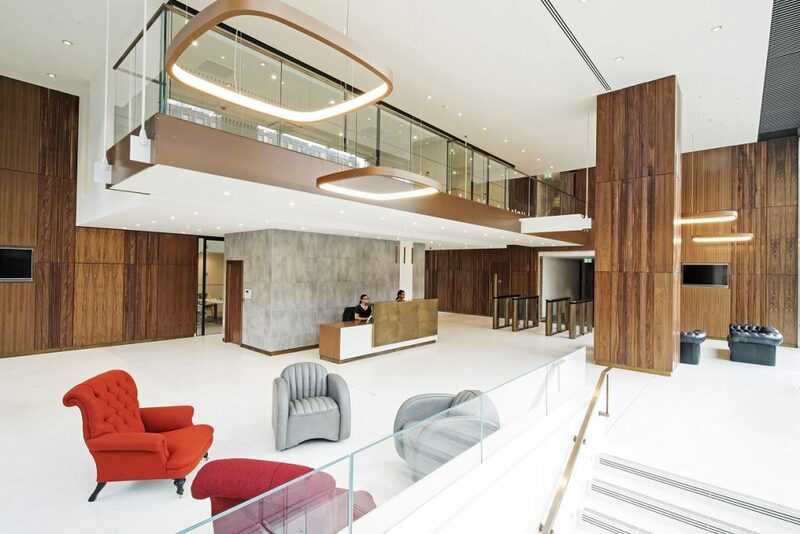 Bourne Capital, a leading international property management group, are used to sourcing the perfect, high end furniture for each and every one of it’s projects and the Capital Tower office was no different. 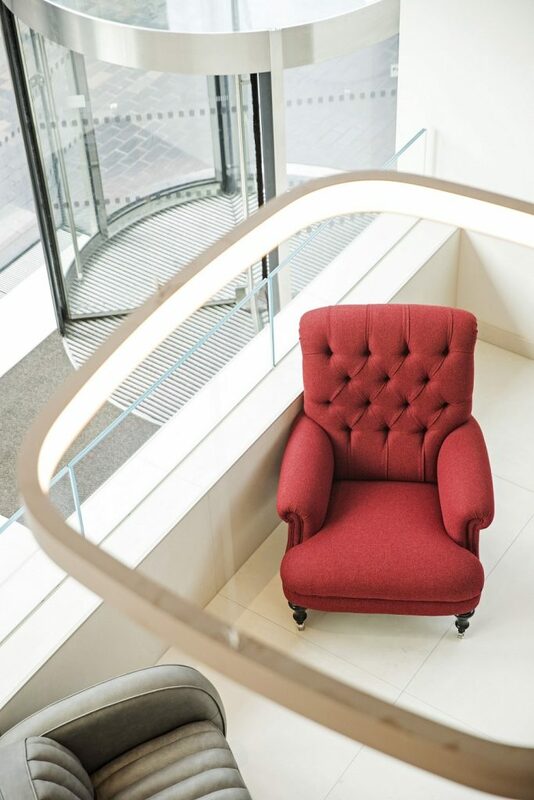 Going for a smart corporate look, two William Chesterfield sofas in black add a subtle classic touch to the modern space while at the other side of the lobby a pair of blood red Havelock Ellis armchairs in wool contrast beautifully with two Mustang chairs in cool grey leather. The cleverly positioned punches of colour create focal points in what would otherwise be a vast open space. 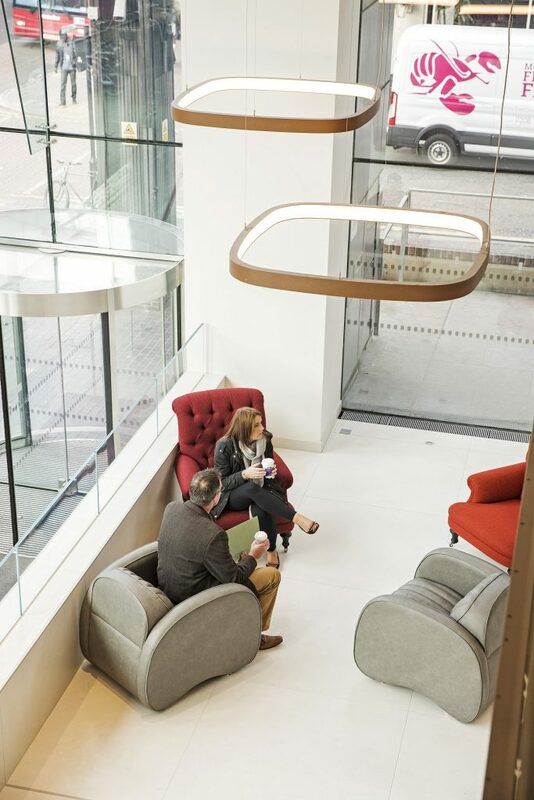 Other Fleming & Howland furniture can be seem dotted in breakout areas on the office floors. 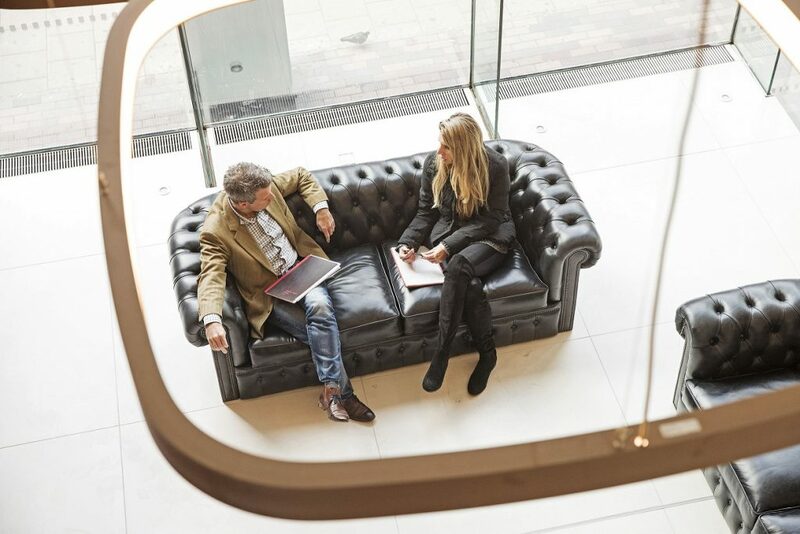 Featured above is our Mustang chair, Havelock Ellis and William chesterfield sofa.